Colonial Pest Control Inc. has been serving Central and Eastern Massachusetts and Southern New Hampshire since 1984. Our focus has always been on providing the best pest control and wildlife removal services for residential homeowners. You can count on Colonial Pest to take care of all your pest extermination and wildlife removal needs. 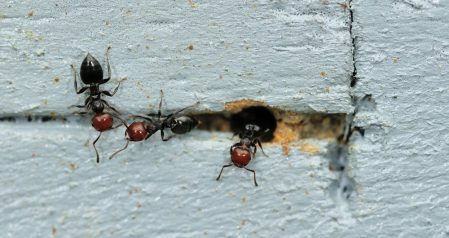 Our exterminators use a wide variety of methods to ensure that pest and wildlife infestations are handled appropriately and your home or building is protected against future invasions. Our preventative maintenance program helps mitigate the chances of recurring pest problems. With a pest control barrier around your home during peak pest season, you can rest easy knowing that pests won't be able to enter your home. Hi! Just a quick note to say how pleased I am by the work done by Mike Lynch on my home. He was on time, did a thorough job, and was very professional. It is so nice to have someone take such good care of my home.